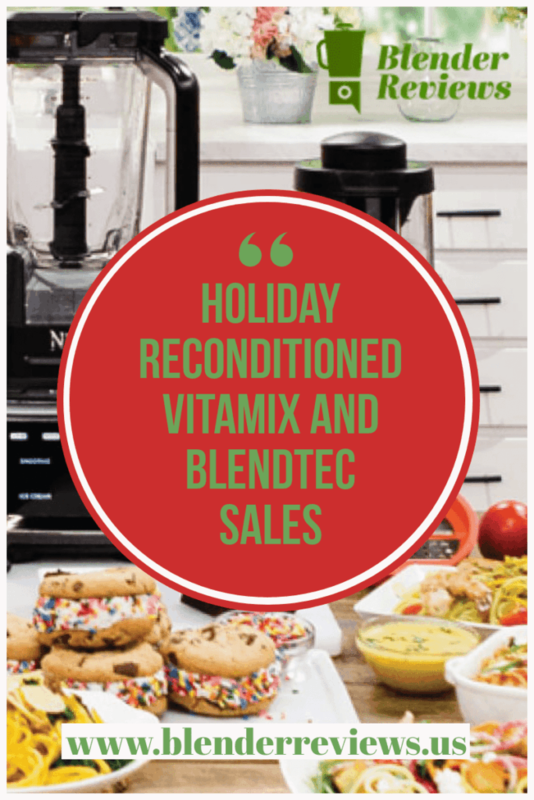 Both Vitamix and Blendtec have announced a few limited time offers on their factory reconditioned models for the holiday season. If you’ve been thinking about getting either a Vitamix or Blendtec for yourself this year, or as a gift for someone this holiday season, now is the time to act. Both Vitamix and Blendtec rarely discount their products, so you can be sure that this is your chance to get one at the lowest prices this year. Let’s take a look at what exactly they’re offering. Vitamix has announced that they are offering a $30-$40 discount on their reconditioned blenders. Now, this discount doesn’t apply to all of their reconditioned models, only their classic style models and this sale ends on December 2nd. All Certified Reconditioned Vitamix blenders come with a brand new container and accessories, and still come with a full 5-year warranty. If you’d like to find out more about the Reconditioned lineup, check out the full review. 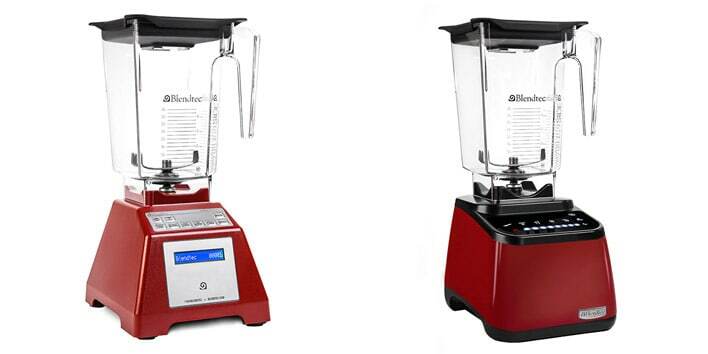 Blendtec has also announced a limited time offer on their Total Blender Classic Certified Refurbished package. While supplies last or until December 31st, they are offering a discount of $105! This brings the prices from $384.95 to $279.95. If you’ve been thinking about getting a Blendtec, this is the time to take advantage! Prices have never been this low, so the stock is sure to sell out quickly! Check out the full review here if you want to find out more about the Total Blender Classic Certified Refurbished. Blendtec also released a limited number of the Designer Series Certified Refurbished at a $75 discount. Normally $454.95, on sale for $379.95! This is a great opportunity to get the latest Blendtec design much cheaper than the brand new model. Does Vitamix have any special deals for Cyber Monday? Vitamix has not announced any additional deals specifically for Cyber Monday. All of their current promotions, the special price on reconditioned models and the $50 off a new container, will continue to run through Cyber Monday.